The first series of DuckTales continues on Disney XD in the UK next weekend with the arrival of a brand new episode on Saturday morning. 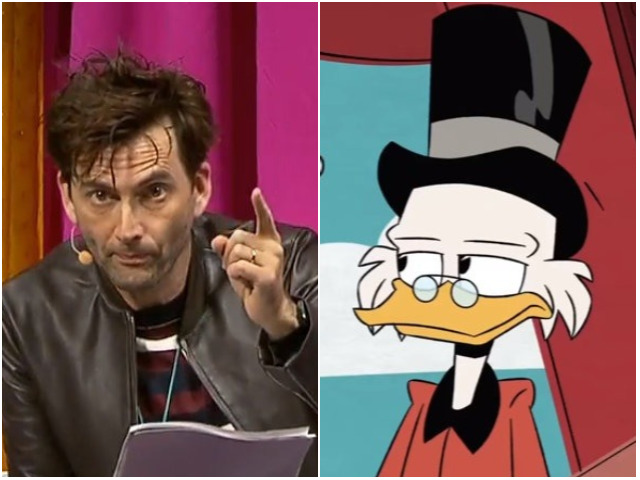 The rebooted 1980s series stars David Tennant in the role of Duck family patriarch Scrooge McDuck, with Danny Pudi, Ben Schwartz and Bobby Moynihan voicing the mischievous triplets Huey, Dewey and Louie. The cast also includes Kate Micucci as Webby, Toks Olagundoye as Mrs Beakley, Beck Bennett as Launchpad McQuack and Tony Anselmo as Donald Duck. Series one continues with The Spear Of Selene which premieres at 9.30am on Saturday 19th May on Disney XD. The episode sees Donald dragged into a feud between Scrooge and Greek god Zeus. Meanwhile, Dewey and Webby search for the Spear of Selene, an artifact that may provide the truth about Dewey's mother. Catch up with the Duck family's adventures in Disney's all-new DuckTales on Disney XD in the UK!